Over the years, one of the most common requests from people who visit Seattle restaurant Lark is for chef and owner John Sundstrom to write a cookbook. This will not be a traditional cookbook. It will be an app for both Apple and Android platforms, featuring over 90 of John's recipes inspired by the Pacific Northwest, beautiful photography, step-by-step instructions, and videos of John in the kitchen and in the field. An eBook and limited edition print version will follow. Focusing on do-it-yourself publishing and new/mobile media will allow for more dynamic content than the traditional publishing model, and for input from the friends, local partners, and community members who have helped shape the Lark experience over the last eight years. 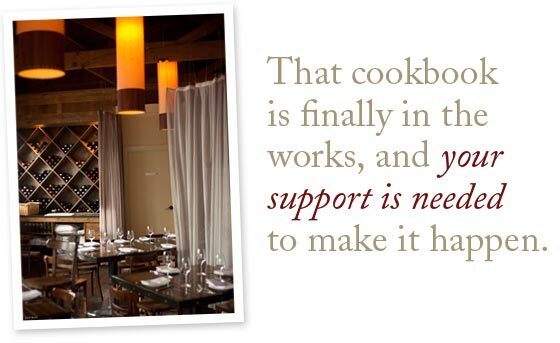 In fact, Kickstarter donors will have several opportunities to be an active part of the cookbook creation process. 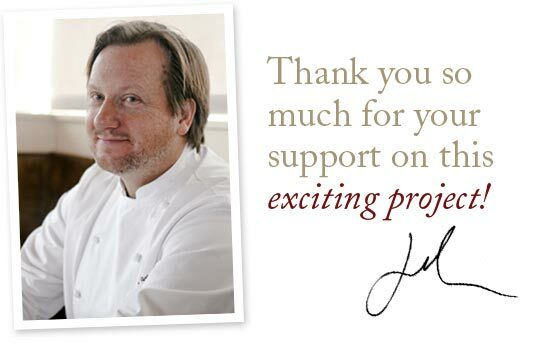 You’ll be invited to recipe tastings, preview events, and behind-the-scenes video shoots with John. As a supporter you'll also have a chance to "test drive" recipes yourself as they are developed, and share your feedback through exclusive access to “Roughcuts” video clips. So why such an ambitious goal for the project? Well, this won't be a standard app. It will require a large amount of high-quality video production, photography and local resources, as well as back-end development. Self publishing a project of this scope is a major endeavor! But this Kickstarter is about more than securing adequate funding for this project. Engaging a community of friends -- new and old -- to participate in the making of the final product is at the heart of what the Lark Cookbook is about. "I'm excited to share new and classic recipes in the mobile environment and have people join me in the process," says John. "It's going to be an amazing ride." Lark Roughcuts and your name added to the supporter marquee on larkcookbook.com. Roughcuts are your chance to walk through the cookbook production process with us. You will receive weekly access to new recipes, videos and updates about our progress throughout the project. Your choice of a copy of the app, iBook or ebook. Have the recipes you love at your fingertips. Invitations for you and a friend to exclusive Kickstarter parties at Lark and acknowledgement in finished cookbook. We will be throwing two parties at the restaurant, and you are invited! Join us and try recipes we are working on, have a glass of wine and mingle with other awesome Kickstarters. All of the above and: A custom letterpress print of a recipe from the cookbook. We will be working with a local letterpress shop to produce beautiful prints of some of our recipes. Perfect for the kitchen wall. All of the above and: You are invited to join Chef Sundstrom and a few other Kickstarters for an intimate cooking class. Learn to prepare a Lark classic. All of the above and: A 1st edition, limited press copy of the printed Cookbook- signed by Chef Sundstrom. Also, rather than one custom letterpress printed recipe we will send you the complete set of three recipes, framed and ready to go on your wall. All of the above and: Dinner for two at Lark where Chef Sundstrom will prepare a one-of-a-kind tasting menu with accompanying wine pairings. What a great way to celebrate your next special occasion! All of the above and: Chef Sundstrom will come to you and throw a dinner party. You and Chef John will create a menu filled with your favorite recipes from the book- maybe a barbeque on your deck or shellfish menu on the beach or wild game feast at your ski lodge.